Ali's four-bedroom house in Berrian Springs was a place where the legendary boxer secluded himself from time to time after moving to L.A. and Arizona. 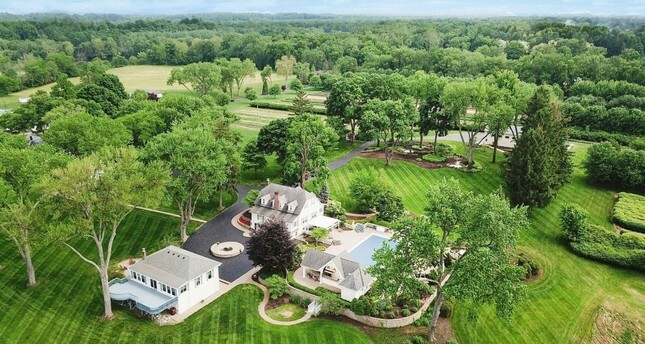 Behram Turan, the head of the Türken Foundation, spoke about their plans for the property which spans over approximately 328 decares of land on the edge of the Joseph River in Berrien Springs in Michigan, U.S.
"We immediately thought of purchasing it when we saw it was up for sale. Ali spent the last two decades of his life here. What motivated us in this acquisition is that it was near Chicago where a large Muslim community lives and this was a place where we preserve Ali's memory," Turan said. He stated that they planned to convert it into a summer school for Muslim students living in the vicinity. "This will also be a chance for students to be inspired by Ali's life philosophy and work for success. It will obviously be beneficial to the Muslim community in the United States to use this property for this specific purpose," he said. Ali bought the property in the mid-1970s for $400,000 and used the property for secluding himself from time to time after moving to Los Angeles and Arizona. Apart from a four-bedroom house, the property also includes seven additional buildings, including a gym with a boxing ring, a basketball field and a pool. U.S. media outlets valued the sale at $2.5 million. Turan says the place will also serve Muslims who come to the United States to study. "Our work will be supported both by the Muhammad Ali Museum and the family of Ali. We want it to serve as a functioning community center with summer school and conferences," he added. Ali, a former world heavyweight champion, died in June 2016 at the age of 74 in the U.S. city of Phoenix after suffering from respiratory illness complicated by Parkinson's disease. The Türken Foundation was established in 2014 in the U.S. by two of Turkey's prominent educational foundations, Ensar and Türgev, to assist eligible students by means of housing, scholarship and other cultural programs to improve their educational experience in the U.S.